Experts agree that prolonged exposure to ElectroMagnetic Fields (EMFs) from power lines, household wiring and electrical appliances may be detrimental to health. The ElectroSensor™ is a simple, yet effective Gaussmeter that measures these potentially harmful radiation waves. 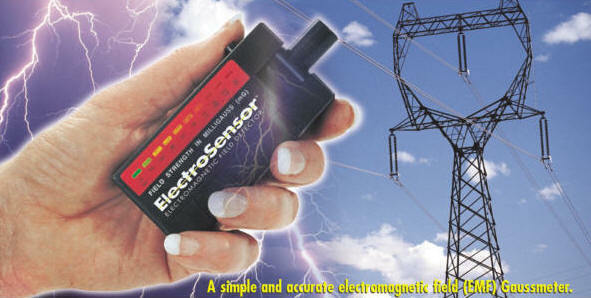 The push of a button displays EMF levels from 1.3 to 30 milliGauss on an easy to read L.E.D. light bar scale, allowing you to determine the source and strength of EMF emissions and exercise prudent avoidance. 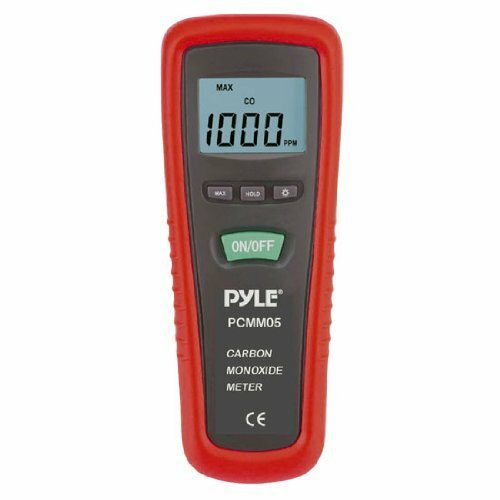 Operates on one AAA alkaline battery (included) and is accurate to + or - 3dB. One year warranty. 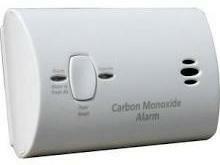 This combination plug-in alarm is designed to detect carbon monoxide and natural gas that reaches the sensor. Quick activation pull tab. 7 year End-of-service life warning. Single silence/test button. Digital display screen. Memory button. 4 LED colors display status of alarm, power, service. 9 volt battery included. 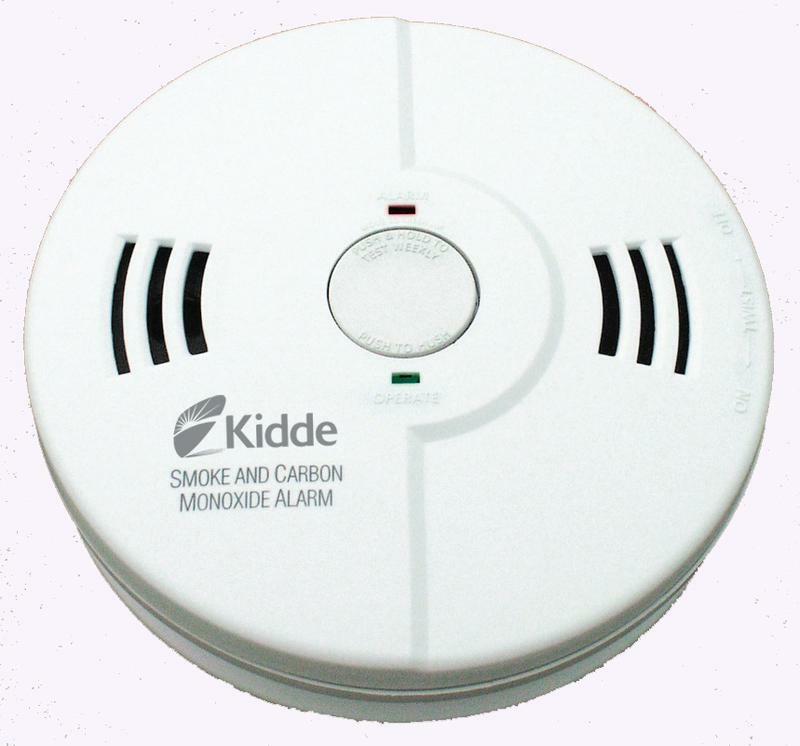 Kidde battery operated smoke alarm is powered by sealed, long-life lithium batteries for ten years (the life of the alarm), meaning the alarm is always on. 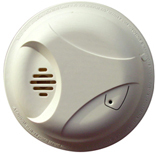 This Smoke Alarm is ideal for the living area. 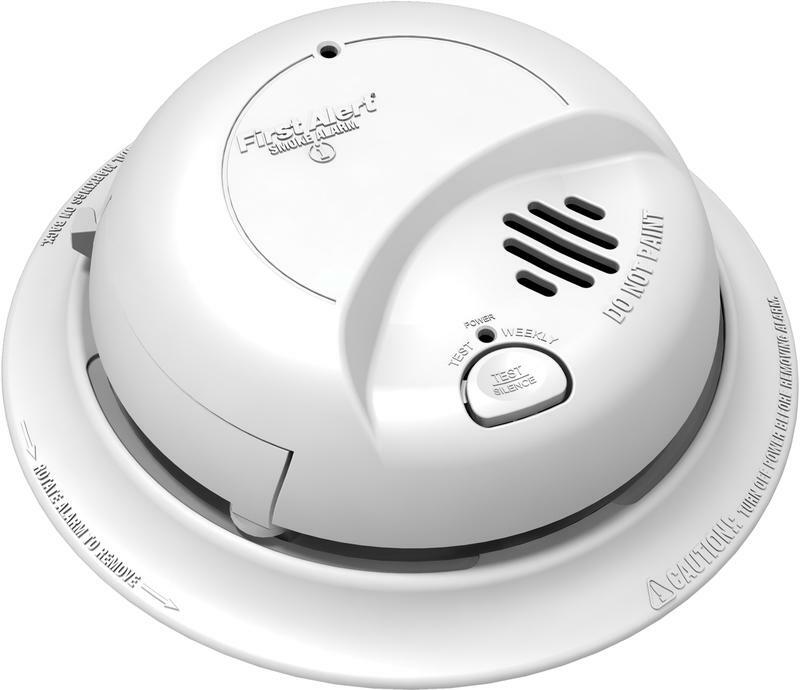 With a sealed, long-life Lithium Battery Smoke Alarm, you can enjoy peace of mind knowing your living area Smoke Alarm is always on; 24 hours per day, seven days a week for a decade. 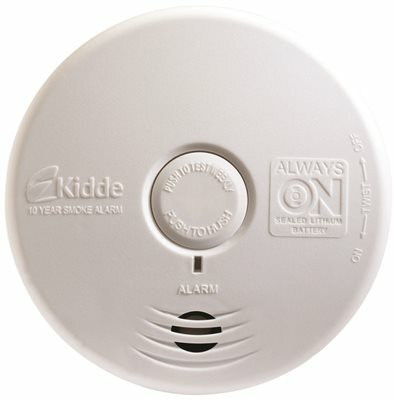 | Kidde 10 year living area smoke alarm is maintenance-free; never replace a battery during the alarm's operating life, in addition to the benefit of maintenance free, batteries are sealed, no need to worry about them being removed | Goodbye late night low battery chirps, an end-of-life signal tells you when it is time to replace the alarm unit, end of life signal chirps every 30-45 seconds when alarm needs replaced | Money savings, no batteries to buy and replace every six months, save up to $40.00 over the life of the alarm | Alarm is equipped with test - reset button, tests the circuitry and horn and resets memory after alarm has sounded | Alarm is UL listed and is equipped with a piezoelectric horn that is rated at 85 decibels at 10 ft. 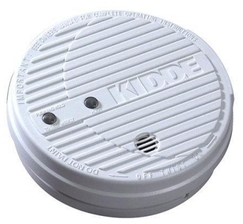 SMOKE ALARM WITH HUSH CONTROL Solid state circuitry Dual ionization chambers Sensing chamber will override hush Hush control eliminates false alarms Press test button to silence for 7 minutes Resets automatically to normal operation Control mode if actual fire occurs Includes 9 volt battery 44037502 SMOKE ALARM SIZE:5-1/4"
The Kidde 900-0113 AC powered, plug-in CO and explosive gas alarm protects you and your family from two deadly threats. The 900-0113 includes 9V battery back up that provides protection during a power outage, when AC-only units can not provide protection. By pressing the Peak Level Button you can see the peak CO level recorded by the alarm since it was last reset or unplugged. 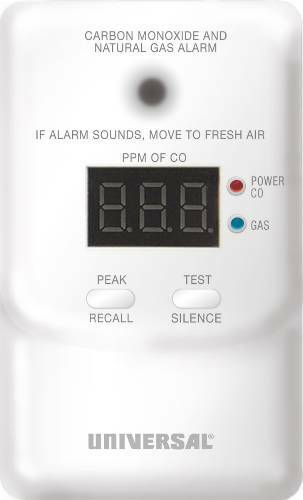 The continuous digital display shows you the level of carbon monoxide (if any) the unit is sensing as well as if gas is present. 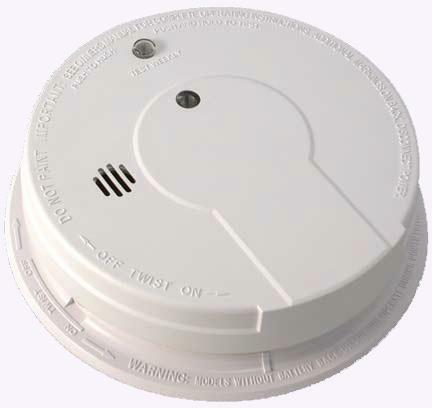 The gas sensor is a metal oxide sensor designed to detect natural gas (methane) or propane. 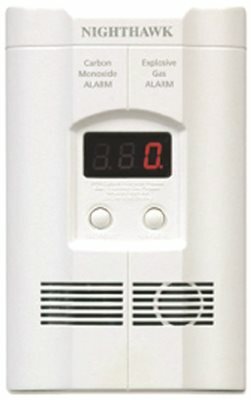 | Sounder Alarm � The 900-0113 offers a loud 85-decibel pulsing alarm that will sound to alert you to a potential problem. 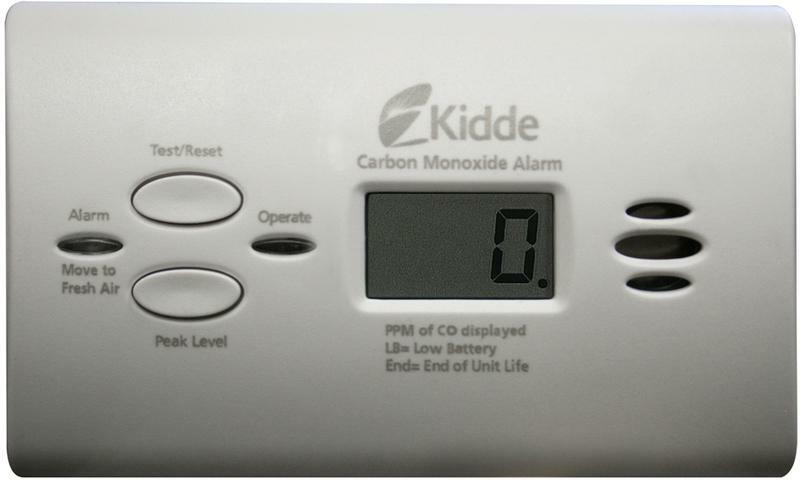 Alarm Condition | Carbon Monoxide � 4 quick beeps, followed by 5 seconds of silence, followed by 4 quick beeps. Repeat with a number showing in the display (CO concentration in ppm). 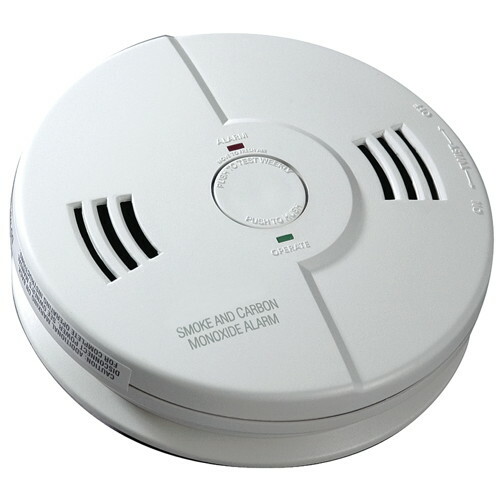 | Gas � one second of alarm on, one second of alarm off, repeating with �GAS� shown in display. 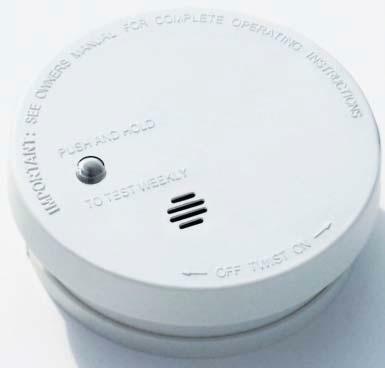 Voice alarm, announces hazard type detected helping to speed up correct reaction to hazard detected. 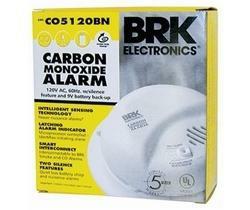 Combined carbon monoxide and smoke alarm, single unit can be installed instead of two, reducing installation time. Test reset button tests alarm circuitry and triggers voice announcement, flashing green and flashing red LEDs. Low battery condition announcement initiates alarm chirp and flashing red LED activation. Battery powered, provides protection even during power outages. 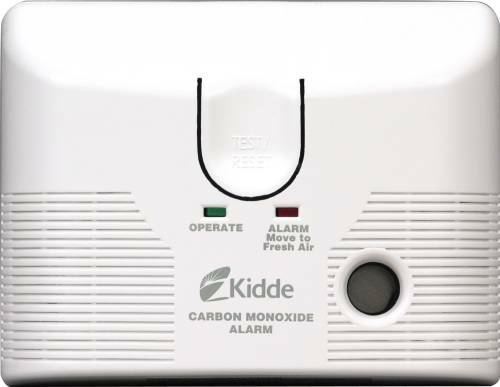 The Kidde AC/DC carbon monoxide alarm uses advanced electromechanical sensing technology to monitor for carbon monoxide levels. 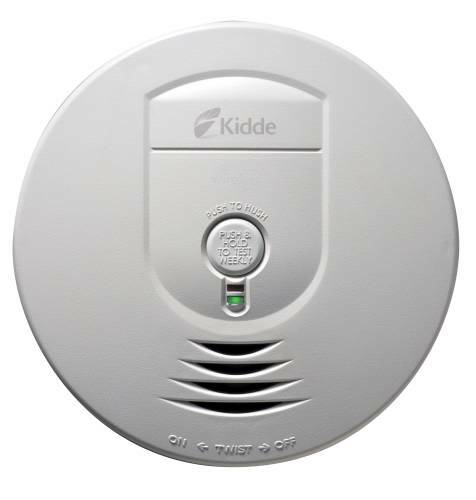 Its clean, low-profile design includes two LED lights�green for normal operation and red for alarm mode.^^Easy Installation^This Kidde AC/DC carbon monoxide alarm plugs directly into any standard wall outlet, making installation quick and easy. 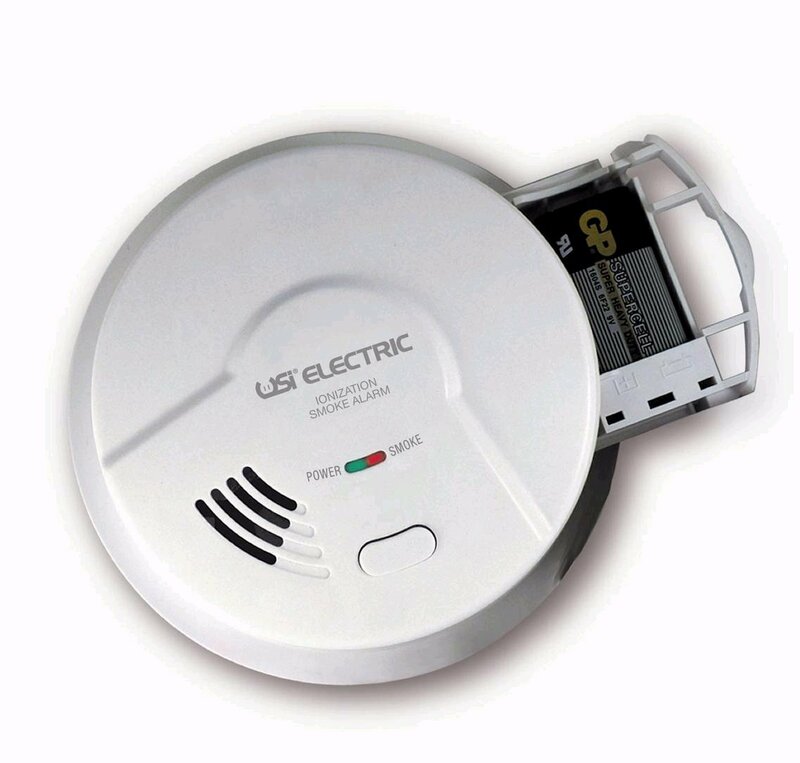 It provides complete protection after installation thanks to its 9V battery backup. 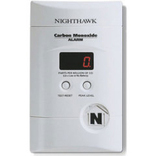 The battery backup ensures CO detection even during power outages, which is when many CO incidences occur.^^Features|Low Battery Hush�||Silences Low Battery Chirp Warning for up to 12 Hours||Maintains Protection without Having to Replace the Battery at an Inconvenient Time|Battery Pull Tab||Eliminates Battery Installation Time and Keeps Battery Fresh|Loud 85db||Alerts Users When Deadly CO Gas Is Present|Test/Reset Button||Tests the Alarm's Electronics and Resets the Unit during an Alarm|Green LED||Indicates Alarm Is Receiving Power and Operating Properly|Red LED||Indicates When Detector Is in Alarm Mode^^Tamper-Resistant^There is a tamper-resistant feature that deters tampering and/or theft of the unit. 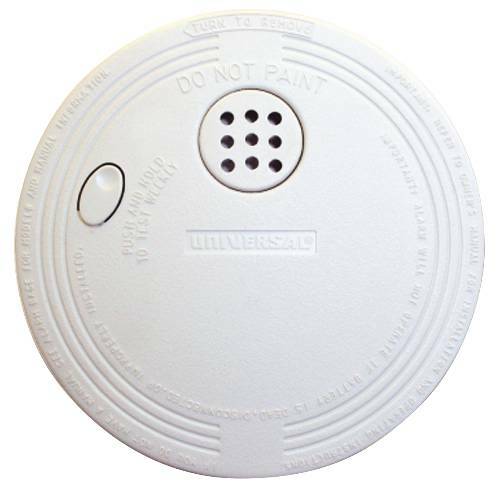 It's great for users that are concerned with theft or the dangers to small children.^^This feature alerts users if the unit has been unplugged or if it has come loose from the wall outlet. 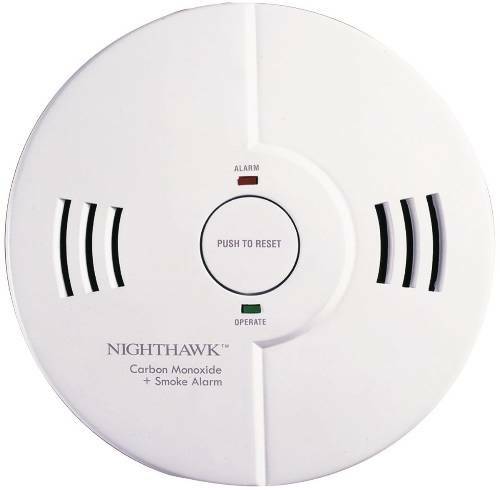 If either of these things happen, the unit goes into constant alarm mode.^^Warranty Information^Backing this unit's quality design is its ten-year limited warranty. The warranty provides users with financial protection should something happen to the unit. 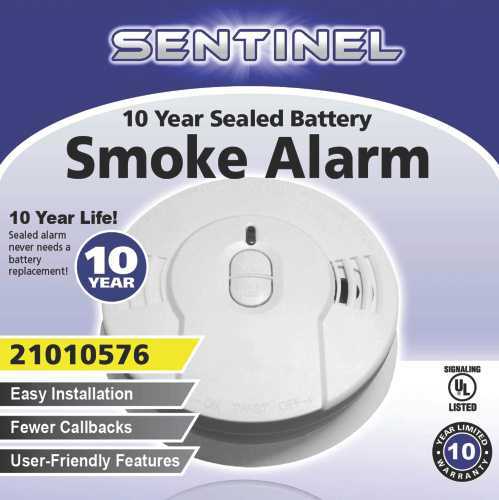 Sealed in lithium battery never replace battery over the ten-year life of the alarm. 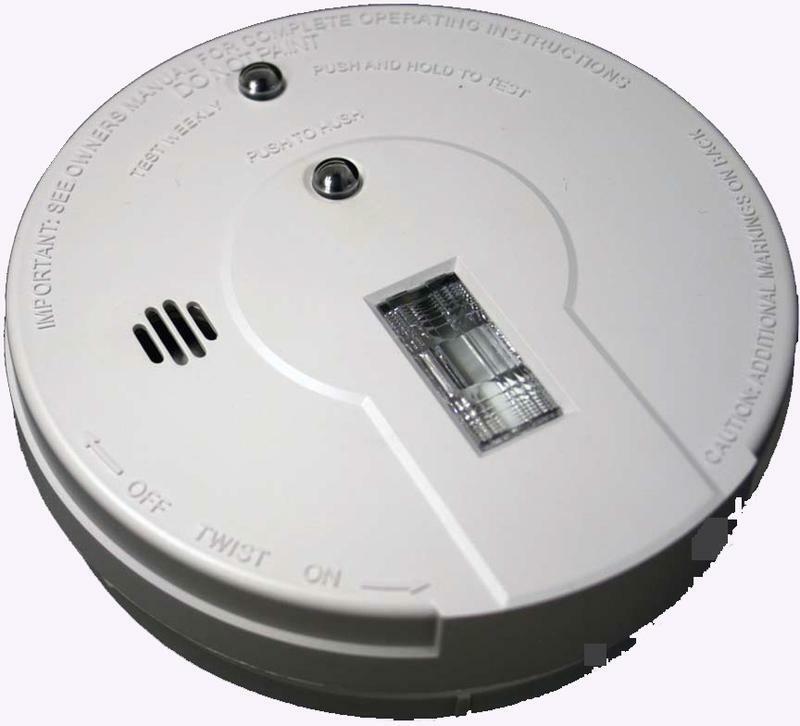 Self-activation alarm automatically activates when securely attached to the mounting bracket. 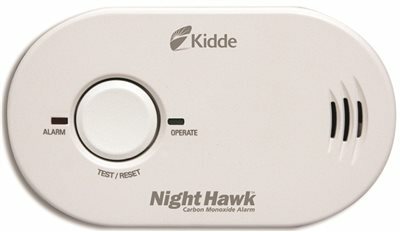 Smart hush temporarily silences nuisance alarms and will not allow hush mode to be activated unless the unit is in alarm mode. 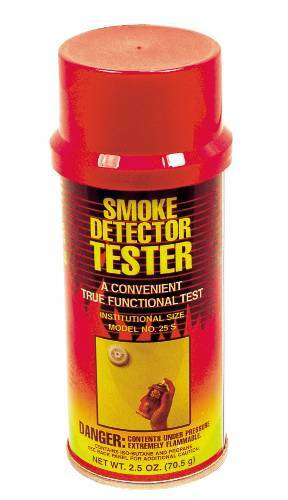 Rapidly flashing red LED alerts the user if the alarm has sounded since the last time the test reset button was used. 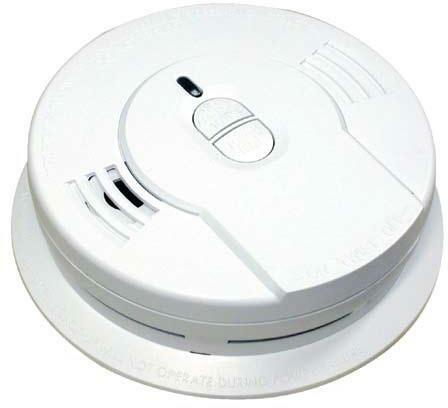 Sentinel smoke alarms meet the requirements of Underwriters Laboratories (UL), an independent facility that tests products for compliance with widely-accepted safety standards.